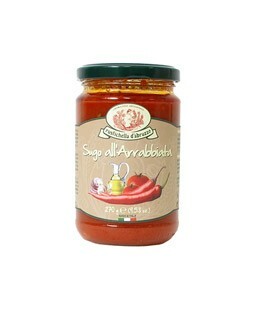 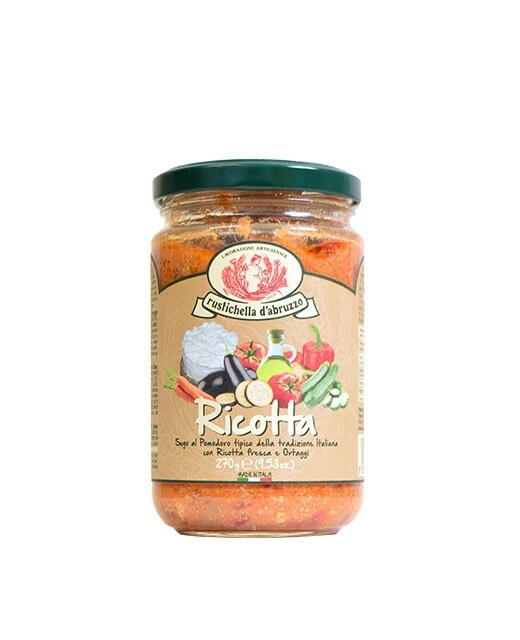 Sauce all'arrabbiata , although less known than the tomato basil sauce, is very popular with connoisseurs. 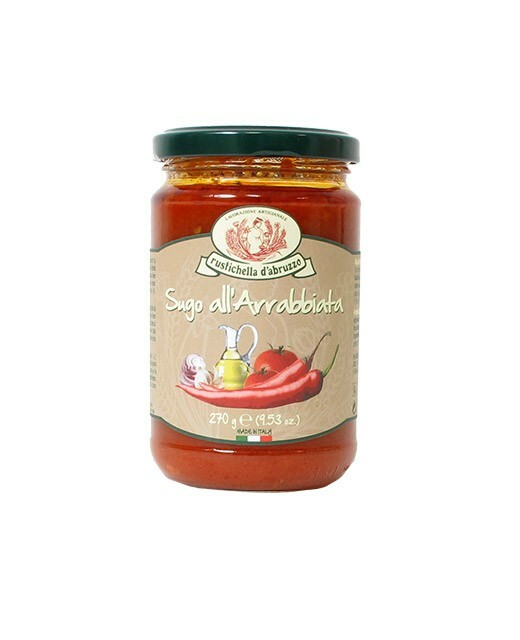 The strength of the pepper is combined with the acidity of the tomatoes to give birth to this characteristic balance of sauce all'arrabbiata. 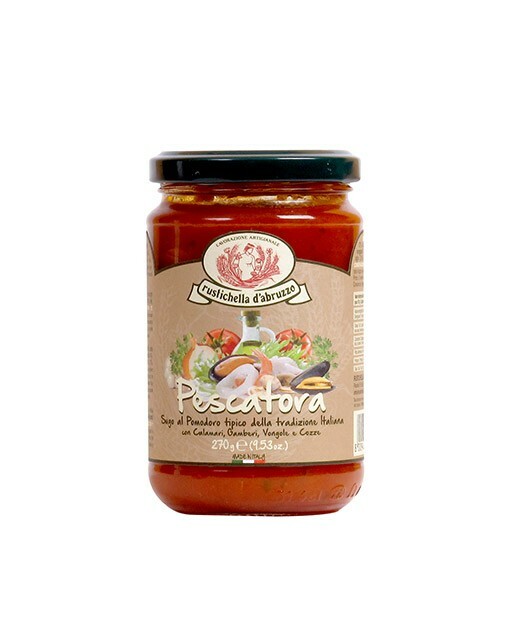 Tomato pulp 89%, extra virgin olive oil, pepper 0.7%, garlic, onion, salt. 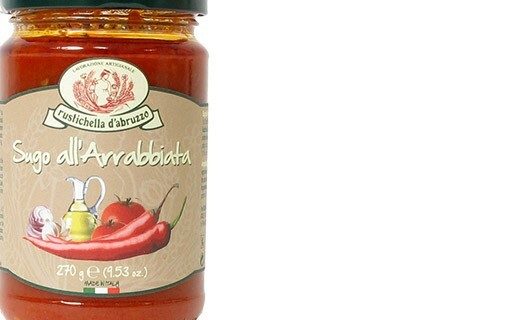 To fully enjoy the taste of tomato sauces Rustichella d'Abruzzo , we recommend you to pay a tablespoon of oil in your pan, add the drained pasta and the sauce (a jar sufficient to 500g of pasta) and reheat over low heat for 3 minutes.